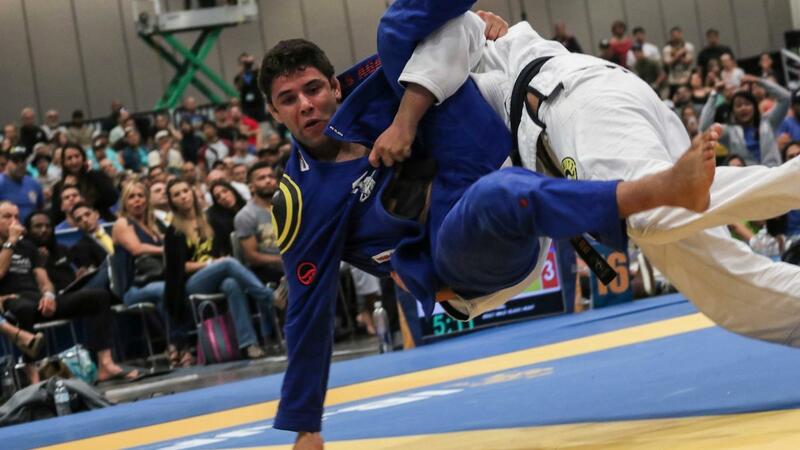 The 2017 IBJJF Heavy Weight Pro Grand Prix took place on August 26 at the Las Vegas Convention. Buchecha and Dimitrius were among strongest participants of the championship. Buchecha tried a shot but Dimitrius avoided. Souza pulled guard and worked a flexible bottom game, with Buchecha patiently stripping grips and looking for openings. A lightning-fast bullfighter pass saw Buchecha briefly attack the back, but Souza recovered guard without giving up points. Buchecha had to avoid a series of tricky lapel attacks from Souza, including one that resulted in a brief omoplata attack. Almeida dived on a gnarly neck-crank type of rear-naked choke in the final 20 seconds but was denied by the buzzer. Buchecha took the win via points 0-0 (2-0 adv).